When former Democratic Rep. Jim Traficant was released from prison yesterday after 7 years behind bars, the AP reported that he "had his famously wild hair pulled back." Well, yes and no. The piled-high pompadour that had long been the congressman's calling card--the technical term for the style was, I believe, the "artichoke," and Traficant often joked that he trimmed it with a "weed-whacker"--was famous and wild, but it was not in fact his hair. 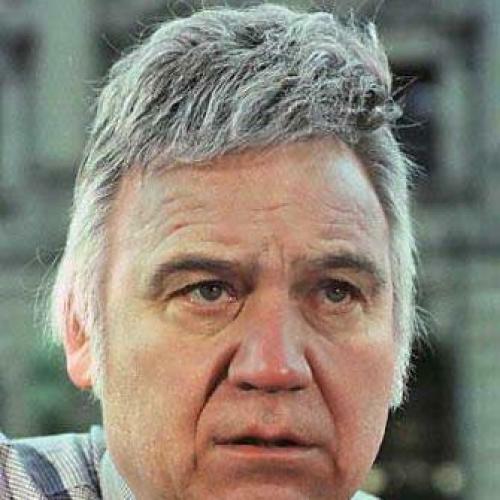 When Traficant was incarcerated in 2002, it was revealed that his signature 'do was, in fact, a toupee, which came as a considerable shock, not because it looked like anything less, but because it seemed remarkable that anyone would pay money to perch such a thing on his own scalp. On the day of the trial, pacing the courtroom in a short-sleeved shirt, Traficant told the jury... that he was conducting "the most unorthodox sting in the history of Ohio politics." In a role that he said deserved "an Academy Award," Traficant told the rapt gallery that he had been acting all along as an undercover agent, trying to convince the Carabbia brothers he was on their side so he could use them to shut down the more powerful Pittsburgh faction. "What I did, and what I set out to do very carefully," he said, "was to design a plan whereby I would destroy and disrupt the political influence and the mob control over in Mahoning County." Though he admitted taking money from the mob, Traficant said he did so only so that his opponent in the campaign wouldn't get it. And, though he acknowledged that his voice was on the tapes, he claimed they were doctored to incriminate him. And, though he agreed he had signed "a statement," he said it was different from the fraudulent "confession" the FBI introduced into evidence. And, though he confessed he had initially lied to the FBI about the sting, he said it was only because he couldn't trust its agents--one of whom, back in the '60s, was allegedly tied to the mob. Indeed, he insisted that, if the FBI hadn't intervened, he would have cleansed the most corrupt county in the country. "The point of the matter I want to make is this," he said. "I got inside of the mob." Then: "I fucked the mob." It was a stunning performance. When [FBI agent] Kroner finally took the stand and testified that he had seen Traficant sign the confession, the sheriff jumped out of his chair and yelled, "That's a goddamn lie!" During cross-examination he taunted his FBI adversary, saying, "Oh, I see" and "No, Bob." Half crazy, half charming, he referred to himself as "my client" and asked reporters, "How am I doin'?" In a region instinctively wary of outsiders, he became, by the end of his defense, an emblem of the valley. In Youngstown, people held parties on his behalf. His supporters sold t-shirts touting his heroic struggle. It didn't matter that the IRS would later find Traficant liable for taking bribes and evading taxes, in a civil trial in which he took the Fifth. Or that the money he had allegedly taken as evidence for the sting was never turned over. Or that one of his deputies claimed on the stand that Traficant had repeatedly asked the deputy to shoot him to make it look like an attempted mob hit. Traficant understood his community better than anyone else. It took a jury four days to decide to acquit. You can read the whole thing here. And anyone who missed Jason Zengerle's terrific piece this week on John Murtha, another Midwestern Democrat--and local hero--potentially facing large ethics questions of his own, should read it here.